Puzzletron is a game to generate your own jigsaw puzzles from any picture you have on your computer or from the images that come with the program. 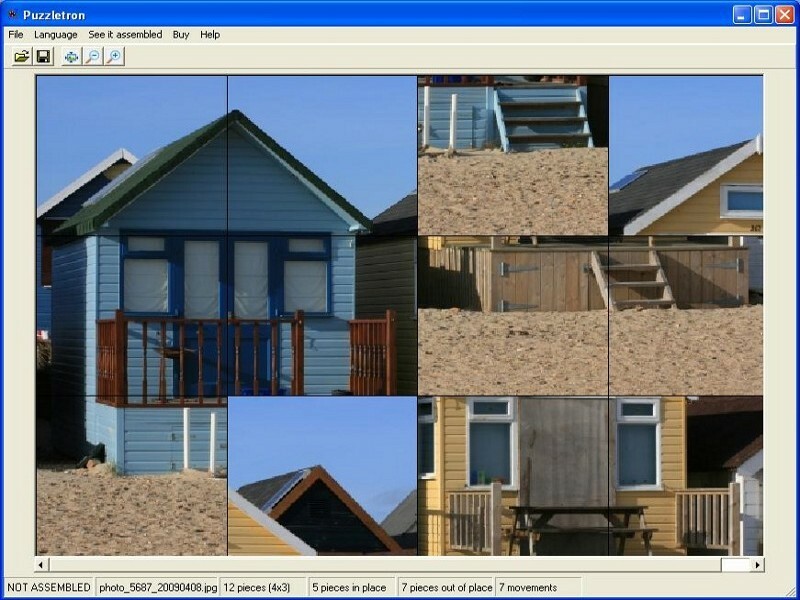 You can build a big variety of puzzles using any image you have in your computer such as your own pictures or any image downloaded from the Internet. Also, the program comes with sample pictures. You only have to select the image and set a few parameters to generate the puzzle. To create a puzzle you only have to select the image and set a few parameters to generate the puzzle: Amount of vertical pieces, amount of horizontal pieces, normal or sliding. It is possible to zoom the pictures, preview the puzzle, see which pieces are in place, save the puzzle and a lot more. Qweas is providing links to Puzzletron 4.0 as a courtesy, and makes no representations regarding Puzzletron or any other applications or any information related thereto. Any questions, complaints or claims regarding this application Puzzletron 4.0 must be directed to the appropriate software vendor. You may click the publisher link of Puzzletron on the top of this page to get more details about the vendor.